We took a break from classes today and went into the mountains. This a beautiful emerald lake nestled in the mountains. The colour comes from the silt carried down from the glaciers. This is what the lake looks like without improvisers. We hiked up to the tea house at Lake Agnes. 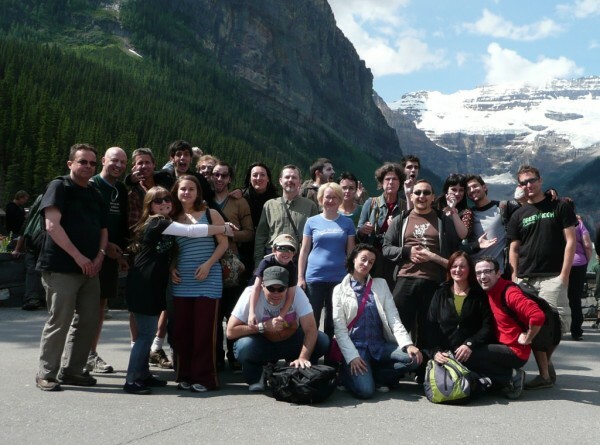 This is a great trip, especially for people who are new to Canada. 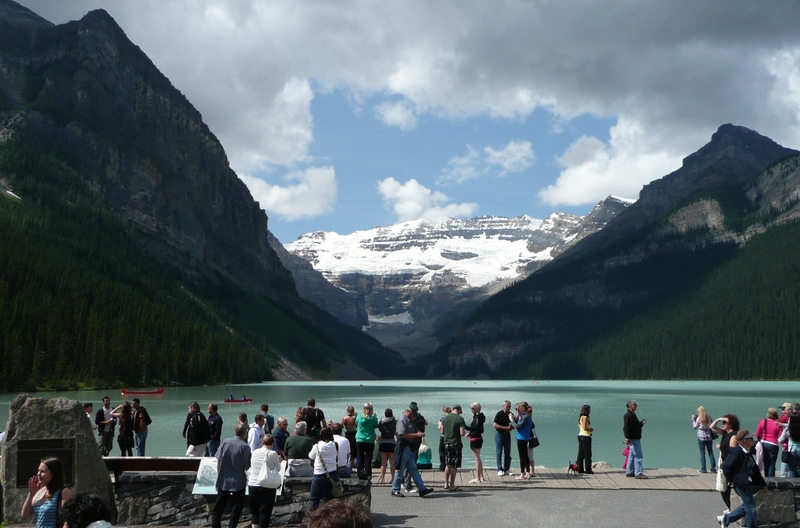 Lake Louise may be the most picturesque part of the country. After the hike, we went to Banff and had lunch at the Rose and Crown rooftop patio. It has a spectacular view of the mountains on three sides.